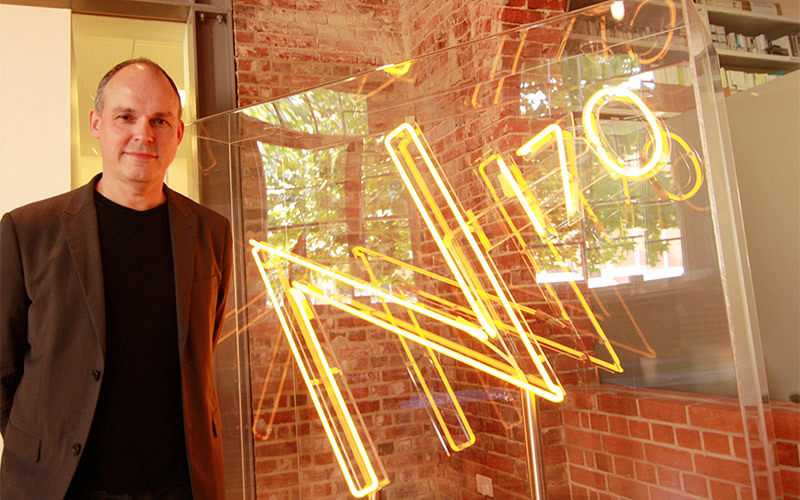 The inaugural VFX lecture at NUA was given by double Oscar winner Paul Franklin, Creative Director and Visual Effects Supervisor at Double Negative, one of the largest VFX Houses in the world. Over the past decade Paul has become known for his ongoing collaboration with director Christopher Nolan, creating visual effects for all three films in Nolan’s Dark Knight Trilogy and winning best achievement in visual effects Oscars for Inception and Interstellar. Students on the BA (Hons) VFX degree course at Norwich University of the Arts (NUA) received an inaugural lecture this week from double Oscar winner Paul Franklin, whose career in the visual effects industry includes credits on major motion pictures such as Interstellar, Inception, Christopher Nolan’s Batman trilogy, Harry Potter and the Half-Blood Prince and Harry Potter and the Order of the Phoenix. Franklin, who is a co-founder of leading global VFX company Double Negative, discussed his work on a variety of groundbreaking films and provided insider insights into getting into careers in the VFX industry. The lecture was the first given by an industry guest on the new course, which launched this September, and will be followed with visits confirmed by Phil Dobree, Creative Director and Founder of Jellyfish Pictures, and Murray Barber and Will Cohen, Founders of Milk Visual Effects. The VFX course at NUA prepares students for a variety of roles which can be for Hollywood blockbusters, but also are in demand in other industries such as in design and architecture. The course content includes creating and manipulating photoreal 3D environments and understanding lenses, colour and lighting.